Executive Director, Chris Diaz, attended the Rally Against Gun Violence in Center City. He was captured by NBC 10 news discussing Action Tank's Mission this year to tackle gun violence in Philadelphia and beyond. Check out the clip here. Member Chris Molaro won two prestegious awards promoting his company, NeuroFlow, an organization designed to promote behavioral health access and engagement. The awards honored his company mission to improve mental health access and treatment. The awards included the 2019 Venture Connect Pitch at the Healthcare Information and Management Systems Society (HIMSS) Conference and the 2019 Hatch Pitch at SXSW. Congratulations, Chris! We're so lucky to have you on our team! Feeding Philly is a documentary produced by Giddyup Bronco Productions in partnership with Action Tank to build awareness about the impact of food insecurity on the Philadelphia community. The documentary will be available in 2019--Stay Tuned! Action Tank's Operation Director and member, Matt Miclette, published an article entitled "Strengthening partnerships between substance use researchers and policy makers to take advantage of a window of opportunity.” The article discusses closing the gap between research and policy. This is Miclette’s second published article on substance use and AT is lucky to have him on the team! The article can be found here. The Philadelphia Flyers and United Health Care awarded Action Tank $1000 to support the organization’s efforts in the city. Action Tank is grateful to have been recognized throughout the stadium as a model community partner. 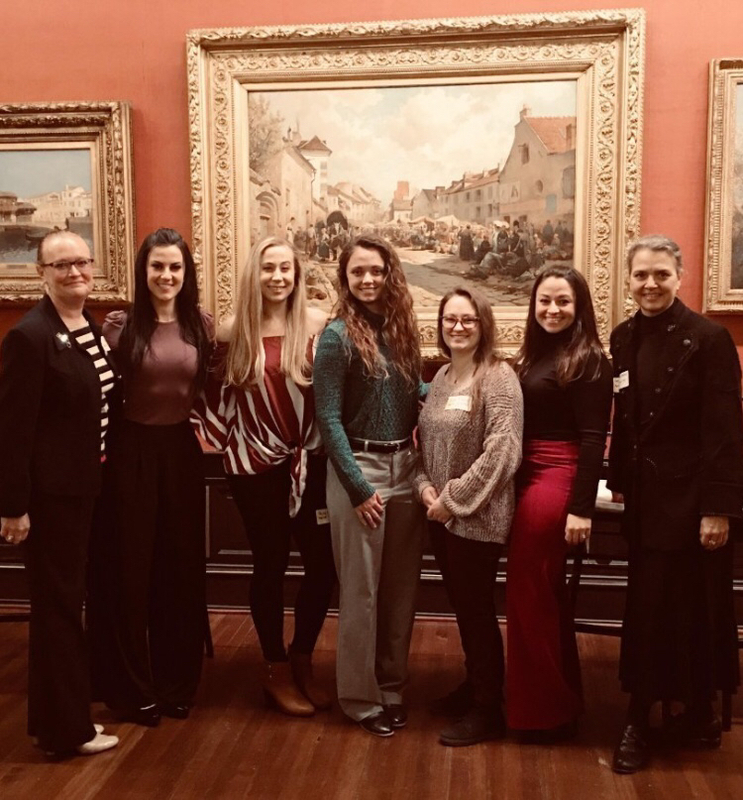 Action Tank member, Jessica Wiesnewski, was a panelist for Drexel University’s HERstory on February 11, a program showcasing women veterans. Jess and the other panelists courageously told their stories and answered questions about the struggles and achievements of being a woman in the military. Jess also shared how the military mindset has allowed her to grow in her career. She is an exemplary leader and an asset to Action Tank. Way to go, Jess! Action Tank Veteran and Nurse Places in Penn's "StorySlam"
Join us in congratulating Action Tank member, Linda Fontanilla, in placing 2nd place in Penn’s StorySlam. Linda shared her personal stories and experiences to a room full of people demonstrating her strength, courage, and ability to be vulnerable. We’re lucky to have this incredible woman on our Team. Way to go, LInda! Action Tank members, Linda Fontanilla and Matt Connolly, met with Dietz & Watson to participate in a food drop off to the Share Food program where 20,000 pounds of food was donated in an effort to end hunger in Philadelphia. Member and Operations Director, Matt Miclette, discusses substance use disorder, the opiod epidemic, stigma, policy and treatment in this interview with Jack Ford. Action Tank member, Nick Liermann, entered his fifth year as the leader of Team Foster, a service organization that raises money to partner service dogs with veterans suffering from combat-related disabilities including post-traumatic stress disorder (PTSD) and traumatic brain injury (TBI). More information can be found at Team Foster's website. Matt Miclette, Action Tank member and Pat Tillman Scholar, speaks at the Pat Tillman Leadership Summit about Medically Assisted Treatment for opioid addiction. Read more about the Pat Tillman Foundation. Action Tank at SXSW 2019! 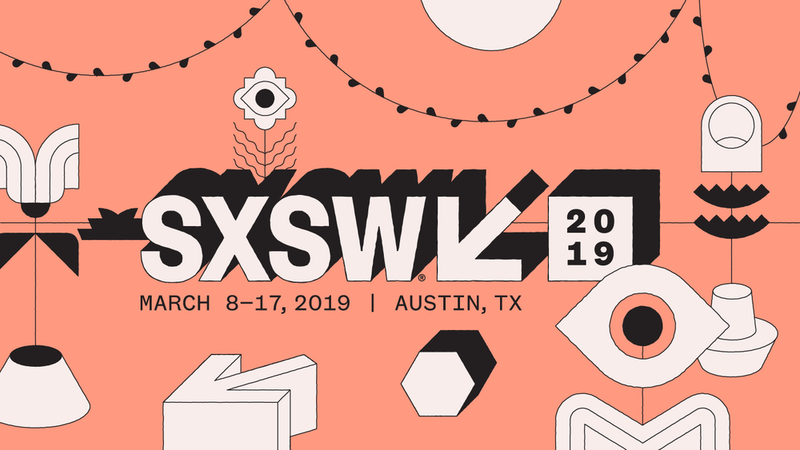 Action Tank is proud to announce that our member, Matt Miclette, will participate in a panel discussion on “Policy & Solutions to the Opioid Epidemic” at SXSW 2019! More information can be found here. Matt Miclette has been a key member of Philadelphia Mayor Jim Kenney's Opioid Task Force. Read his interview with PennToday.